The sculpture flows out of the power of friendship, of someone who is there for us, with the strength and determination to hold on when we are too weak to hold ourselves up. 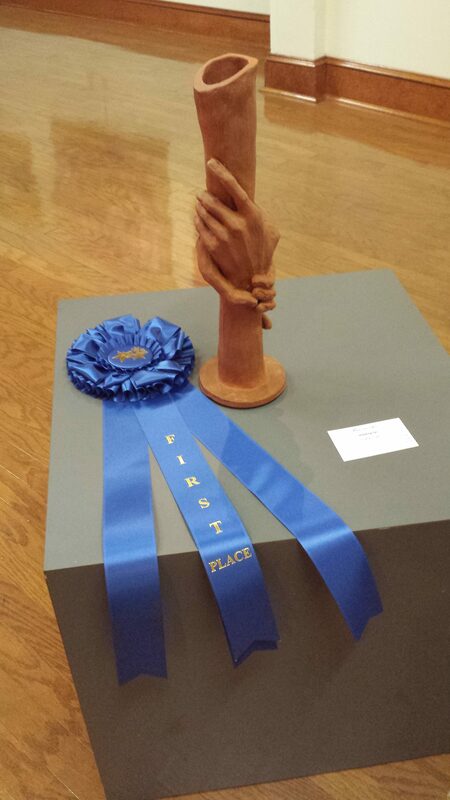 I entered this piece in a juried art show in 2016, at the Arts Clayton gallery in Jonesboro, GA, and was pleased to receive a First Place award! The funny part was that, on the evening of the opening reception for the exhibition, I was unable to attend, as I was in Italy. Thankfully, my wife was there with some friends, and was able to accept the prize, and take this photo. 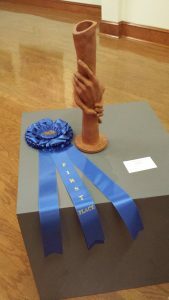 Working with the FAACE (“Fine Art and Craft Entrepreneurs”) group to organize the inaugural event for the Magnolia Fine Arts Show in the summer of 2016, I was delighted to receive an Honorable Mention ribbon for my booth. 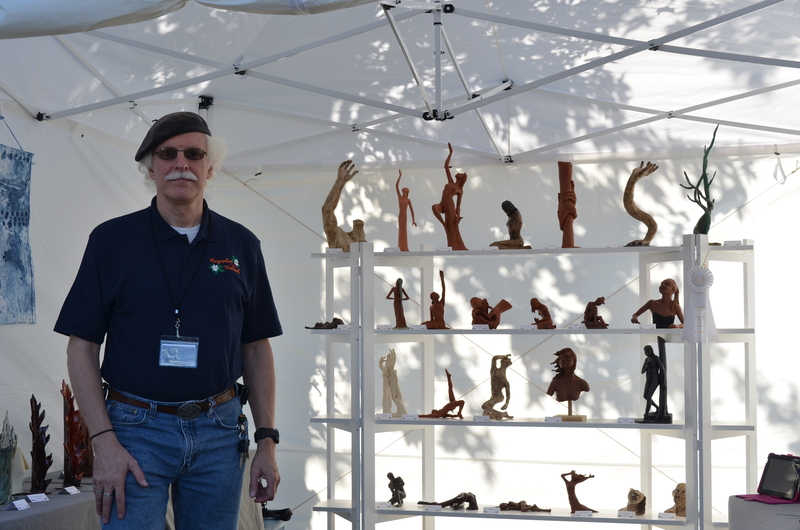 I have been continuously learning and improving my booth design over the past several years, adding new display systems and learning how to attract and engage people as they come through.